Too soon gone: The Marker of Rosa Chastain reads: Wife of G.W. 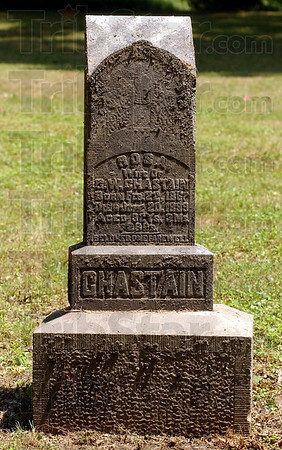 Chastain, Born Feb.22 1867, Died June 20 1899, Aged 32 Ys.3Ms.29Ds. Beloved One Farewell. The grave is in the cemetery of the Little Flock Pentecostal Trinity Church near Coalmont.